Ibok-Ete Ibas, chief of naval staff, says the Admiralty University of Nigeria (ADUN) will open in October, with the commencement of degree programmes in three faculties. Ibas disclosed this during a news conference on Tuesday in Abuja. He said the faculties include arts and social sciences, management sciences, and science. The university will have its main campus in Ibusa, Delta state, as well as additional campuses in Lagos, Sapele, and Calabar. Ibas said the permanent campus of the university, which would be along the Ibusa Ugwashi-Uku Express Way, near Asaba, Delta state, would be fully equipped with all academic infrastructure, science labs, computer facilities, students residential cafeteria and restaurant sports grounds. He also said the Admiralty University was established out of a public private partnership between the Nigerian Navy through its investment arm – Navy Holdings and Hellenic Education, an international educational organisation. 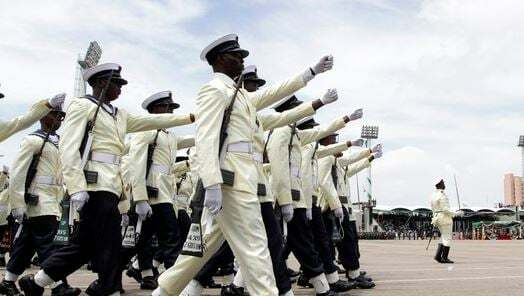 Ibas, who was represented by Henry Babalola, chief of policy and plans, Navy headquarters, said admission of students into the inaugural class was already ongoing. “The university was conceived to expand the frontiers of knowledge for the growth and development of humanity, meet the training needs of the Nigerian Navy,” he said. He said the school would also offer pioneer degree programmes in emerging fields such as forensic science, cybersecurity, and software engineering. The naval chief said the faculties of medicine, engineering, law and pharmacy were planned to commence in 2019. He said the university would prepare graduates, who are equipped with skills demanded in the industries, adding that it would offer a non-traditional teaching and learning environment. “Lectures will be delivered through flipped classroom technology, giving students access to lectures, notes, books and teaching materials online,” he said. The naval chief also disclosed that the university had developed a partnership with universities overseas to expand the breadth of teaching and learning resources available and accessible to students and faculty. Pavlos Pavlou, president of ADUN, said the new institution would provide an opportunity for students to be trained in cybersecurity, forensic science among other courses.